In his highly anticipated new book and movie "America," conservative author Dinesh D'Souza is warning that Hillary Clinton won't be a clone of her moderate husband, but will instead take the baton from President Obama to continue radicalizing the country and “undo the nation's founding ideals.”"America -- Imagine a World Without Her," published by Regnery and set for release Monday, charges that as students of radical organizer Saul Alinsky, Obama and Clinton could have enough time to “unmake and then remake America” into a nation the founding fathers wouldn't recognize.Sign Up for the Paul Bedard newsletter! “They may not be responsible for the suicide of America, but they certainly will have helped to finish off a certain way of life in America, and they will leave us with a country unrecognizable not only to Washington and Jefferson but also to those of us who grew up in the 20th century,” wrote D’Souza.“If they succeed, there may be no going back. Then it will be their America, not ours, and we will be a people bereft of a country, with no place to go,” he adds on page 87.“America” is D’Souza’s latest book and movie on how he sees progressive politics hurting the nation. He also created the movie “2016: Obama’s America,” which was the second highest-grossing political documentary.An advance copy of the book provided to Secrets suggests that progressives aim to remake the nation into one that is less powerful, less wealthy and less influential. If that happens, he warns, “We have committed national suicide.”He focuses on Obama’s and Clinton’s links to Alinsky in a chapter titled “The Plan.” He claims the two followed the radical’s master plan that they hide their views and ideas until they get into power.“If you see early pictures and video of Hillary, she looks and sounds like a former hippie. Overtime, however, Hillary started dressing like a respectable middle-class mother and speaking in a clipped, moderate sounding voice. Young Barack Obama, too, looked like a bit of a street thug -- in his own words, he could have been Trayvon Martin. Over time, however, Obama started dressing impeccably and even practiced modulating his voice,” the popular author writes.“Hillary and Obama have both learned the Alinsky lesson that your should aggressively pursue power while pretending to be motivated by altruism,” he added.“More importantly, Hillary and Obama both adopted Alinsky’s strategic counsel to sound mainstream, even when you aren’t,” wrote D’Souza. “These are the ways in which our two Alinskyites make themselves palatable to the American middle class, which to this day has no idea how hostile Hillary and Obama are to middle-class values.“If Hillary Clinton is elected in 2016, the baton will have passed from one Alinskyite to another. In this case, Alinsky’s influence will have taken on a massive, almost unimaginable, importance. Obama will have had eight years to remake America, and Hillary will have another four or perhaps eight to complete the job,” he wrote.Paul Bedard, the Washington Examiner's "Washington Secrets" columnist, can be contacted at pbedard@washingtonexaminer.com. Infowars analysis note: The official list ends above. What’s important to understand is that there are always members who will be attending, but who don’t want to be included in the list, due to laws such as 18 U.S. Code § 953, otherwise known as the Logan Act, which makes it a felony offense – punishable under federal law with imprisonment of up to three years – for any member of federal or state government to meet with members of a foreign government without the express authority and authorization of the president or congress. Below see Paul Joseph Watson’s latest article revealing this year’s agenda from inside sources. Given that Bilderberg schemed to create the Euro single currency as far back as 1955 (Bilderberg chairman Étienne Davignon bragged about how the Euro single currency was a brainchild of the Bilderberg in 2009 interview), the results of the European elections are sure to have stirred outright alarm amongst Bilderberg globalists who are aghast that their planned EU superstate is being eroded as a result of a populist resistance mainly centered around animosity towards uncontrolled immigration policies. In Denmark itself, the buzz is centered around Morten Messerschmidt and the Danish People’s party, which won 27% of the vote in the Euro elections and doubled its number of MEPs. Although some are wary of Messerschmidt’s far right inclinations, his success reflects a general resentment not only in Denmark but across Europe towards immigration and the welfare state, concerns that the EU has only exasperated. Meanwhile in France, Marine Le Pen is carving out a role as the face of a conservative movement that threatens “to break up one united Europe,” with her European election win being described as an “earthquake” that has rattled the political heart of Europe. Voters in the United Kingdom also delivered a thumping rejection of the EU and in turn Bilderberg with the success of Nigel Farage and UKIP, a Euroskeptic triumph some are labeling the “most extraordinary” election result for 100 years. As well as TTIP and the fallout from the European election disaster, Bilderberg will be tackling a number of other key issues, most of which will revolve around the continued effort to centralize economic power under several different guises, including a carbon tax paid directly to the United Nations, with the financial hit being taken by individuals as big companies are granted special “waivers” that will allow them to continue to pollute. The rumbling crisis in Ukraine and the relationship between Russia and NATO will also be a focal point of Bilderberg 2014. Globalists now consider Vladimir Putin to have ostracized Russia from the new world order because he dared to “challenge the international system,” as John Kerry put it. Bilderberg will discuss fears that Putin is intent on constructing an alternative world order based around the BRICS countries, a “multi-polar” system that would devastate the dollar as the world reserve currency and also heavily dilute the current US-EU-NATO power axis. THIS COULD BE A VERY IMPORTANT MEETING WITH MAZEN AND PERES GOING TO THE VATICAN JUNE 8,14.JUNE 6-10,1967 ISRAEL RECAPTURED JERUSALEM.AND NOW THE POPE AND PALESTINIAN MURDERER ABBAS WANTS JERUSALEM DIVIDED.ON THE VERY SAME DAY 47 YEARS AGO THAT GOD GAVE ISRAEL JERUSALEM.THIS COULD NOT MOCK GOD ANY MORE THEN THE POPE TO PROMOTE A PALESTINIAN STATE ON THE SAME DAY GOD RECAPTURED JERUSALEM FOR ISRAEL. vatican city-Syria’s fratricidal war and the consequent humanitarian catastrophe was at the centre of the Pope’s first day in the Holy Land. On Friday 30 May, a summit promoted by Cor Unum will be held in the Vatican to coordinate the work of agencies that offer humanitarian aid in a country that has been torn apart by a three year conflict. Vatican Insider discusses this with cardinal Robert Sarah who will turn 69 this coming 15 June. Cardinal Sarah is President of Cor Unum and Archbishop Emeritus of Conakry. At the start of his pilgrimage to the Holy Land, when he was in Amman, Pope Francis asked for negotiations in Syria to reopen. What is the current situation like? Do you have any news regarding the whereabouts of Fr. Dall’Oglio? What if the Holy See’s position regarding the Syrian conflict? What should the international community do in your opinion? Cor Unum has organised a coordination meeting for agencies working in the context of the Syrian crisis. Why? What will be the main issues the meeting will focus on? “We felt there was a need – highlighted by the Catholic organizations whose work is centered around the Syrian crisis - to look for new forms of coordination between them and with the Holy See. The 30 May meeting which will be attended by 25 agencies operating in Syria and neighbouring countries will give us the chance to weigh up everything that has been done already and pinpoint emergencies and priorities for the future. For example: is it possible to create a greater synergy between the work of local bishops and the planning work of agencies? How to deal with the educational and employment emergency that a large part of the Syrian population is experiencing? I should remind everyone that this meeting continues on from the one that was held in June last year. That meeting led to the establishment of the first office for the coordination of information in Beirut. Its work will be evaluated and appraised during the course of the meeting. What does the Pontifical Council Cor Unum do for Syria? And what concrete actions is the Church taking? What is the situation of Christian communities? Christianity risks disappearing from countries where it has been present since the apostolic times. What is the Church asking for? WE GOT CONSPIRACY THEORISTS AND END OF THE WORLDERS CLAIMING CLIMATE DISASTER FEARMONGERING.THE CONSPIRACY THEORISTS AND END OF THE WORLDERS HAVE TAKEN THIS FRENCH GUY OUTTA CONTEXT.THESE PEOPLE OVIOUSLY DON'T KNOW WHAT THEIR TALKING ABOUT.THERE CLAIMING A CLIMATE DISASTER IN 500 DAYS.WHEN FABIAS IS TALKING ABOUT A FINAL CLIMATE CHANGE DEAL TO BE MADE IN PARIS FRANCE BETWEEN NOV 30-DEC 11,2015. DO NOT-I SAY-DO NOT BE AFFRAID OF THESE END OF THE WORLDER,CONSPIRACY THEORISTS.THE FRENCH MINISTER MEANT THE FRENCH MEETING IS IN 565 DAYS.AND BY THEN HE WANTS THE WHOLE WORLD TO SIGN IT BY THEN OR IN THE PARIS MEETING.THESE WORLD ENDERS-CONSPIRACY THEORISTS ARE TAKING THIS GUYS 500 DAYS TILL CLIMATE DISASTER AS THE WORLD ENDING.WHEN HE MEANT 500 DAYS IS THE PARIS MEETING.AND THE WORLD MUST SIGN THE TREATY BY THEN.HES TRYING TO BE A NEW WORLD ORDER FEARMONGER HIMSELF.BUT THE END OF THE WORLDERS AND CONSPIRACY THEORISTS ARE TAKING HIM OUT OF CONTEXT TO FIT THEIR FEARMONGERING END OF THE WORLD CONSPIRACY THEORIES. SO PLEASE DON'T THINK THE WORLD IS ENDING OR A CLIMATE CATASTRAPHY IN 500 DAYS AWAY.THIS FEARMONGERING IS THE LATEST FEARMONGERING BY THE CLIMATE CROWD NEW WORLD ORDER AS WELL AS THE END OF THE WORLDERS AND CONSPIRACY THEORY CROWD. Bonn, 21 May 2014 – The United Nations climate chief today welcomed the progress made in the institutional design of the Green Climate Fund (GCF) at its final meeting in Songdo, Republic of Korea. Convention on Climate Change (UNFCCC). The organizers have high hopes for the Paris event known in U.N. jargon as the 21st conference of the parties (COP21) – the parties being the signatories to the 1992 U.N. Framework Convention on Climate Change and the 1997 Kyoto Protocol.“By the end of the meeting, for the first time in over 20 years of U.N. negotiations, all the nations of the world, including the biggest emitters of greenhouse gases, will be bound by a universal agreement on climate,” the French foreign ministry said around the time it offered to host the conference.Invited to respond Tuesday to Fabius’ 500-day warning, White House press secretary Jay Carney pointed to the National Climate Assessment released last week which, he said, “made clear in the view of the science that climate change is upon us and the effects and impacts of climate change are being felt today.”“We’ve laid out a comprehensive strategy aimed at helping communities around the country prepare for the effects of climate change, as well as a strategy to reduce our carbon pollution, enhance our energy independence, and address climate change in the future to try to mitigate future impacts,” Carney said.“There’s no question that this is a global effort that has to be undertaken because of the nature of carbon emissions around the world.”The Paris climate conference will be held from November 30 to December 11, 2015. THIS SHOW TAMAR YONAH AND TEMPLE TALK ARE MY 3 FAVORITE SHOWS ON ISRAEL NATIONAL RADIO.BUT ALL THE SHOWS ARE GREAT. I STILL THINK THE MH370 IS IN INDONESIA-COCO ISLANDS OR ANDAMAN ISLANDS. The ProSaS Deep Towed synthetic sonar and Remora Remotely Operated Vehicle (ROV) will be deployed in the search area. BEIJING: Malaysia's position has not changed on the search area of missing Malaysia Airlines Flight MH370, said Prime Minister Datuk Seri Najib Tun Razak.Najib said this when asked about the statement issued by the Joint Agency Coordination Centre (JACC) searching for the missing plane on Thursday. Australia's JACC had said in a statement that it had completed its search in the Indian Ocean where pings were detected and has discounted the zone as the final resting place of the plane that went missing on March 8 with 239 passengers and crew.JACC, however, said it remained confident they had established the course of the missing plane and that the aircraft entered the water in a long but narrow arc of the southern Indian Ocean.Acting Transport Minister, Datuk Seri Hishammudin Tun Hussein who was also present at the prime minister's press conference with the Malaysian media here, confirmed the deployment of ProSaS Deep Towed synthetic sonar and Remora Remotely Operated Vehicle (ROV) in the search area. "We will deploy these as we enter into the next phase of the Deep Sea Search operation," he said.Hishammuddin said the very advanced and capable systems would be funded by PETRONAS and DEFTEC.The minister said he was confident the new search capability would greatly assist in the new search phase. HISHAMUDDIN: Ties between China and Malaysia meant a lot for him and Prime Minister Datuk Seri Najib Tun Razak as the relations were built by their fore fathers.KUALA LUMPUR: Malaysia and China's partnership on the Malaysia Airlines (MAS) flight MH370 search provides a new model for global relations, said Acting Transport Minister Datuk Seri Hishammuddin Hussein. "I cannot run away from the fact I am responsible for the search of MH370. I really believe that a lot of things happen for a reason and it's an emotional journey for me, going through (the disappearance of) MH370. "And that emotional journey has very strong links with China and its people. So much has happened in 40 years. It is significant for me (because) I have promised the families of missing passengers that I would come here and engage with them," he said in an interview with CCTV News Anchor, James Chau, in Beijing, China, Thursday.At the time China and Malaysia are celebrating 40 years of diplomatic ties, Hishammuddin said personally, the ties meant a lot for him and for Prime Minister Datuk Seri Najib Tun Razak as the relations were built by their fore fathers. "More importantly, it means a lot to bilateral relations between two nations, how we conduct ourselves with the leaders and people of China. It is important because the world is watching and this can be a good example of bilateral relations," he said.Flight MH370, which disappeared from radar en route to Beijing on March 8, carried mostly Chinese nationals.Hishammuddin, who is also the Defence Minister, reassured Malaysia's commitment that it would not let up its ongoing efforts to locate the missing MH370. "On behalf of my family, the Malaysian government and its people, the search will continue. I am still in touch with families of some of the passengers. I have assured all the family members that I will not let up," he said.Hishammuddin said the most difficult part of the search was having to deal with the families and he was still dealing with it right now. "I believe that not one single person in the search team has broken down even though it is heart-wrenching to see the families affected by the missing MH370 flight," he said.When asked whether Malaysia was in a better position to offer new innovation and knowledge, Hishammuddin said that they were in such a position and he was proud of it. "That is something that I'm proud about, no matter what people say. Not many countries can coordinate and get everybody to cooperate. "I'm lucky because I have to deal with people who are pretty decent and the fact that we are moving to a new phase looking into deep sea search," he said.He added that the support to help Malaysia in the new phase was overwhelming. "The technology available out there is so sophisticated. I also feel that Malaysia, Australia and China are in a position that is pretty unique in the history of mankind," said Hishammuddin.Hishammuddin was also asked why he chose to visit the families of the passengers privately in one of the hotels in Kuala Lumpur during the early days of the search, without the presence of media.For that question, Hishammuddin said: "Because it's between the families and me. There is a limit to politicise things, a limit to seek ratings and a limit to answer allegations even though it is personal to me when you say I'm uncaring. "I've always said this, history will always judge us. Going on television, hugging, kissing and crying with them, that again is just temporary. That is not me. People are now beginning to understand who I am. If I reflect Malaysia, I think I've done my job," he said.Based on Inmarsat calculations of the satellite data, MH370 was plotted over the southern Indian Ocean - completely opposite to the direction it should have been heading - and is believed lost in that area.However, in a report from The Australian-led Joint Agency Coordination Centre today, the swathe of Indian Ocean where acoustic transmissions were detected was Thursday ruled out as the crash zone of missing Malaysia Airlines Flight MH370 after a lengthy underwater search. Philip Dorling-EXCLUSIVE-Never publicly acknowledged: The Cocos Island facility. 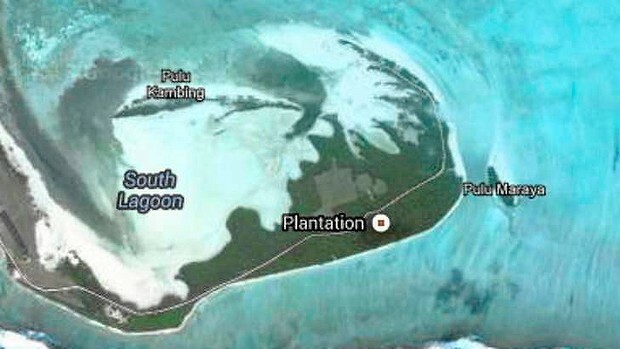 Australia's electronic spy agency is intercepting Indonesian naval and military communications through a secret radio listening post on the remote Cocos Islands.According to former defence officials, the Defence Signals Directorate operates the signals interception and monitoring facility – known locally as "the house with no windows" – on Australia's Indian Ocean territory, 1100 kilometres south-west of Java. The station has never been publicly acknowledged. The station has never been publicly acknowledged by the Australian government, or reported in the media, despite being in operation for more than two decades.Along with the better-known Shoal Bay Receiving Station near Darwin, the previously unreported Cocos Island facility forms a crucial part of Australia's signals intelligence collection efforts targeting Indonesia.The facility includes radio-monitoring and direction-finding equipment, and a satellite ground station.The Defence Department would not comment on the facility and said only that the Cocos Islands host "a communications station" that "forms part of the wider Defence communications network. "However, former Defence officers have confirmed the station is a Defence Signals Directorate facility devoted to maritime and military surveillance, especially Indonesian naval, air force and military communications.Australian National University intelligence expert Professor Des Ball said the facility was operated remotely from DSD headquarters at Russell Hill in Canberra. Intercepted signals are encrypted and relayed to Canberra. He said preparations to establish the Cocos facility began in the late 1980s, and involved a highly secretive signals intelligence group, the Royal Australian Air Force's No. 3 Telecommunications Unit. The Cocos Islands signals intelligence station forms part of much broader Australian espionage efforts directed against Indonesia.As reported by Fairfax Media on Thursday, these programs include a covert DSD surveillance facility located at the Australian Embassy in Jakarta.A former Defence intelligence officer said Australia's monitoring of Indonesian communications was "very effective" and also allowed assessments of the seriousness of Indonesian efforts to combat people smuggling, which were described as "woeful, wilfully so".However, the former intelligence officer said the Cocos and Shoal Bay facilities were of "limited utility" in locating vessels carrying asylum seekers, which avoided using radios or satellite phones until the vessels contacted the Australian Maritime Safety Authority.Professor Richard Tanter of the Nautilus Institute of Security and Sustainability said the Cocos station was likely to intercept increasing volumes of naval and military communications. "With the increasing Australian and US interest in the Indian Ocean region and the planned maritime surveillance deployments, it is likely to become more important. "Indonesia announced this week that it was prepared to step up naval patrols between Java and Australia to help combat people smuggling. In anticipation of talks with Immigration Minister Scott Morrison, an Indonesian government spokesman said Indonesia would offer to "maximise our navy patrols in the south sea . . . because these asylum seekers are trying to go south". NOW WE FIND OUT THE PINGS WERE ALL FALSE.SO LETS GET BACK TO THE SEARCH IN INDONESIA OR THE ANDAMAN ISLANDS.THIS HAS BEEN RIDICULAS.WHILE THE KIDNAPPED FREESCALE DEFENCE WORKERS AS WELL AS THE REST COULD HAVE BEEN FOUND 2 MONTHS AGO ON LAND. LETS GET BACK TO THE QUESTIONS ASKED BY THE FAMILY MEMBERS - THEY WANT ANSWERED.THE SEARCH IS SUSPENED TILL AUGUST AT LEAST NOW.LOTS OF TIME FOR THEM TO LOOK ON LAND NOW. There are reports of a major error in the search for missing flight MH370, with the US navy saying there is no evidence to suggest pings coming from the southern Indian Ocean came from the plane's black box. Specialists prepare to deploy the towed pinger locator on the Australian vessel Ocean Shield. A series of pings detected in the southern Indian Ocean and originally believed to have come from missing Malaysia Airlines jet MH370 are now thought to have been emitted from either the searching ship itself or equipment used to detect the pings, a US Navy official says.Michael Dean, the US Navy's director of ocean engineering, told CNN that authorities now believed the four acoustic pings at the centre of the search off the West Australian coast did not come from the missing passenger jet's black boxes, but from a "man-made source". "Our best theory at this point is that (the pings were) likely some sound produced by the ship ... or within the electronics of the Towed Pinger Locator," Mr Dean told CNN on Wednesday. "Always your fear any time you put electronic equipment in the water is that if any water gets in and grounds or shorts something out, that you could start producing sound. "He said other countries involved in the massive search for the jet, which disappeared on March 8 with 239 people on board, had also reached the same conclusion.When the pings were first detected in early April, retired air chief marshal Angus Houston, the head of the search's Joint Agency Co-ordination Centre (JACC), said experts believed the signals were consistent with those of a flight data recorder.He said the first two pings - detected on April 5 at 4.45pm and at 9.27pm Perth time - had been analysed by the Australasian Joint Acoustic Analysis Centre, based at HMAS Albatross in Nowra, on the NSW south coast. "The analysis determined that a very stable, distinct and clear signal was detected at 33.331 kilohertz, and that it consistently pulsed at a 1.106-second interval," Mr Houston said at the time. ''They therefore asses that the transmission was not of natural origin, and was likely sourced from specific electronic equipment. They believe the signals to be consistent with the specification and description of a flight data recorder. ''The final two pings were detected on April 8 - at 4.27pm and 10.17pm, Perth time.But despite an extensive underwater search, no evidence of the plane has been found in the search area in the southern Indian Ocean.Fairfax Media has contacted JACC for comment. 1. How many ELT are there on the plane? Including fixed and portable. We have heard two versions. We would like to insure how many? 2. Did Malaysia Airline have regular maintains check for ELT? When was latest check for MH370 ‘s ELT? What is the maintainous interval? And we need to see results of maintainous check. If not possible to see the result during the investigation. We would like to know what has been checked. 3. How your 406 MHz is certified. Your licences? 6. Is the cable and blade antenna 9G certified? How much impact is need to active ELT? Does the ELT active in Asiana accident and France Air 447? 7. Are 121.5 MHz 243 MHz useless when aircraft crash in water? 8. The manufacturer of the ELT, the signal of 406MHz supposed to be detected by satellite. 9. Is the 406 MHz is a separate service beside the 121.5 and 243 MHz? 10.If the crew has been trained on how to use ELT? 11. Can ELT unlock and bounce to the surface of water? 12.When plane is trying to land on the sea, can ELT can be activated? 1. The serials number of the black box on MH370. Manufacturer? 2. What kind of characteristic signal does MH370’s black box pinger send? Is it a pulse, with a peak at 37.5 kHz? The width, the shape of the pulse? 3. What is the sample that Boeing has sent to Australia to compare with the detected pinger? Was it from a normal black box signal or the specific black box on boeing 777, or even the exact black box mount on MH370? 4. How many items can the Flight Data Recorder provide? 25, 57 or 88? 5. How long time can the Cockpit Voice Recorder provide? When did Malaysia Airline start to prolong 2 hours record? 6. Can the detected frequency 33.3kHz can illustrate the coverage environment of the black box? Can the location of the black box also te illustrated? 7.Can the investigation team make an experiment on checking the 33.3kHz is caused by the weaken battery? And how long can 33.3 kHz can be detected under the weaken power situation? 1. What protocol does ICAO do when flight missing. What did Malaysia Airline do when MH370 missing. What organization are Malaysia in. 3. We need Malaysia Civil Aviation Control MH370 Voice Record. 4. Inmarsat in Malaysia , NTSB ，Chief engineer Zaharie personal contact phone number. Directly contact information. 5.Have the searching and rescue team got final result from the searched areas? Are they ensure any impossibility on thosed closed area, if not why close all the other areas? 6. Can Malaysia Government specify the right of kins, especially the right to know the facts of a cases or the details of an incident? 7.We require the ATC audio. MH370: Relatives accuse Malaysia of withholding data-AFP | Updated: May 28, 2014-Astro Awani-A Chinese relative of a passenger on flight MH370 speaking to reporters. KUALA LUMPUR:-Families of passengers aboard missing flight MH370 on Wednesday accused Malaysia of withholding crucial satellite data, saying a long-awaited report is incomplete and does not prove the plane crashed in the Indian Ocean.Authorities on Tuesday released a 47-page summary of communication logs from the Malaysia Airlines plane recorded by British satellite operator Inmarsat, information which relatives and independent experts had demanded.No wreckage from the jet, which disappeared on March 8 en route from Kuala Lumpur to Beijing with 239 passengers and crew on board, has been found despite a massive international search off western Australia.Many relatives are frustrated over the lack of progress, and have little faith in the complex process used to form the theory that the plane veered off course for reasons unknown after losing contact, and then crashed into the southern Indian Ocean.Michael Exner, a US-based satellite engineer and one of the most prominent independent experts to analyse the findings, said Malaysia had failed to provide crucial supporting details together with the Inmarsat logs. "There is a little bit more new information that may help us. But there is just a very large body of metadata that is missing," he told AFP. "They are not being transparent," he added. "It may not be possible to draw any conclusions. Why don't they just release all? Why do they hide so much of it? "Exner said it would take days to properly examine even the limited technical data that had been released.Steve Wang, a spokesman for a support group of relatives of the flight's 153 Chinese passengers, accused authorities of holding back data. "We want a complete report releasing all the information on how the theory behind the plane's position was reached, so that we can invite experts to give their independent opinion. ""So much time has passed and nothing has been found, so we doubt that the calculated position of the plane is correct," he said. Sarah Bajc, the girlfriend of American passenger Philip Wood and a vocal critic of the Malaysian response, said the authorities had chosen to "manage" what they released instead of handing over the original raw data. "This report is anti-climatic. Our original request for the data was over two months ago... For it to have taken so long to release data that has still been manipulated is just ridiculous," she told AFP.The Boeing 777's transponder, which relays an aircraft's location, and its Aircraft Communications Addressing and Reporting Systems (ACARS), which transmits information on a plane's mechanical health, appear to have been shut off around the time it went missing.That forced authorities to piece together a picture of its path from other information including satellite signals, radar data and aircraft performance calculations.The untested method has left the door open for relatives, already critical of the handling of the Malaysia-led investigation, to suggest that authorities may have got their sums wrong.In response to the criticism, Malaysia's civil aviation chief Azharuddin Rahman said that any further queries should be directed to Inmarsat. "There is no plan at this stage to provide any further details on the Inmarsat raw data," he told AFP.Malaysia has insisted it is doing as much as it possibly can in what is an unprecedented situation. However, the coalition that has been in power for 57 years has a history of using its entrenched position of power to cover up scandals -- a backdrop that has fuelled the scepticism and conspiracy theories.Relying in part on the Inmarsat data, officials believe the jet inexplicably veered off its flight path before crashing into the sea, possibly after running out of fuel.The sketchy data was extrapolated using the Doppler effect -- the change in frequency of waves from a moving object -- to decipher the final flight path.One phase of the search -- using a mini-submarine to scour the ocean depths -- is set to end this week. The next phase will involve using sophisticated equipment to scan the unmapped ocean bed.Australia, which is leading the hunt in the Indian Ocean, has committed up to US$84 million towards the search operation over two years. MH370: PIAM pledges to give priority to insurance claims-Bernama | Updated: May 27, 2014-Astro Awani-CHUA: The industry is committed to providing all necessary assistance to all parties involved in the incident.